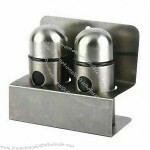 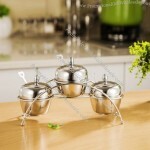 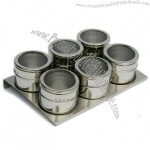 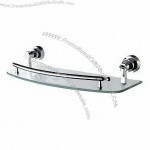 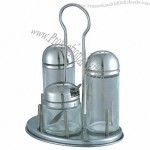 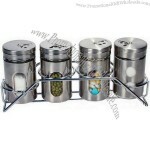 Cruet rack : 202 stainless steel , 4mm diameter , rugged, bottom spherical design , adding beauty and firm base . 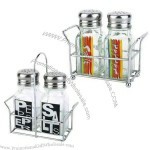 Application: sugar, chicken , Hu spicy powder, salt , please when installed together with the salt bags loaded ( salt directly into the cruet , a long time 304 stainless steel is also easy to rust ) . 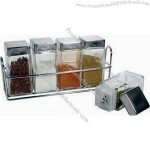 With lid and metal shelf. 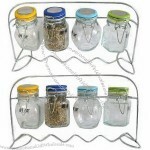 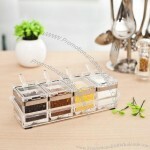 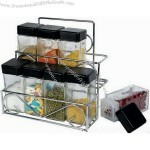 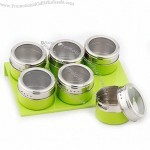 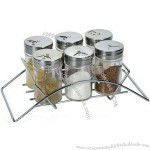 For the storage of pepper, salt, sugar, spice or other food. 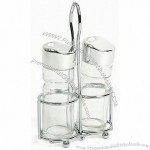 Latest design products of various kind of houseware and kitchenware in rubber wood, glass, porcelain, acrylic which is the newest combination of fashion and function. 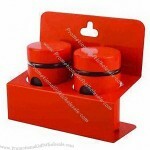 The color of the cap can be designed according to your demand. 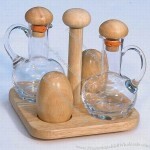 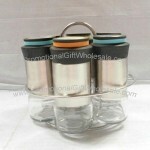 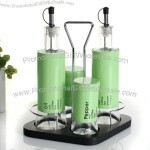 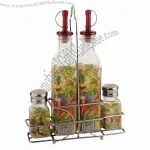 Custom-made Cruet Stand From China Factory, Low price Cruet Stand, Top Quality, True wholesale source for original!